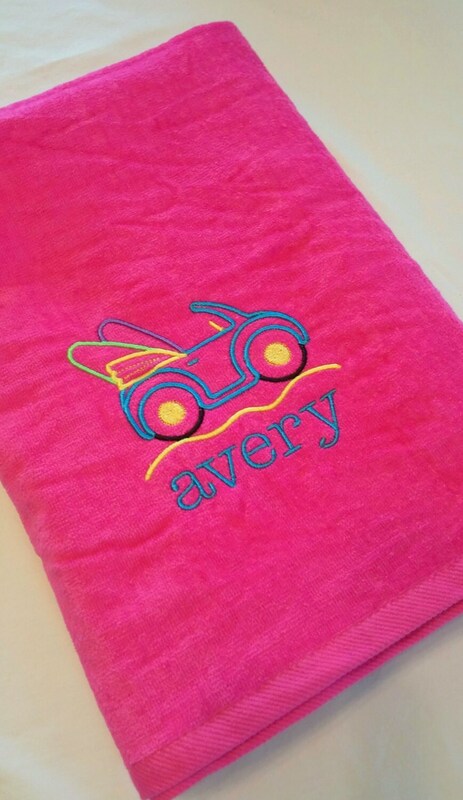 This fun towel features a fun surf buggy with an embroidered name below in a cute all lowercase typewriter font. 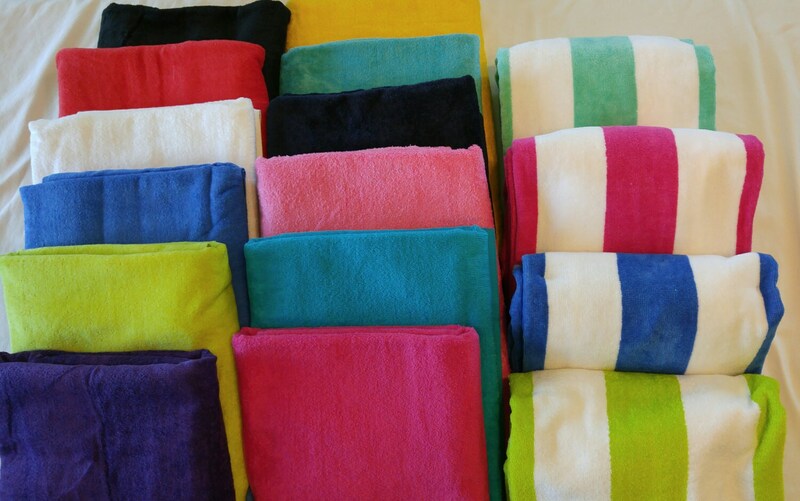 Default colors for design will be shades of turquoise, lime, hot pink, orange, yellow or black depending on towel color/gender. Please feel free to specify embroidery colors you would prefer!